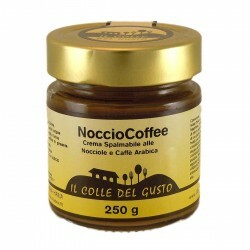 The Spreadable Creams are produced using the best Italian hazelnuts and cocoa, with the addition of Extra Virgin Olive Oil. They have the total absence in the recipes of hydrogenated or refined vegetable fats. The only fat present in these creams are delicious in fact only those naturally existing hazelnuts and cocoa, with the addition of Extra Virgin Olive Oil. They have a smooth and full taste and are great on bread or to prepare tarts and cakes.